We know you’ve been thinking about getting highlights. Whether it’s a few summery strands, or a full head of foils you’re considering, let our guide point you in the right direction. In our second feature with color expert Anival Morales—he’s oft responsible for Brit Marling and Hayden Panettiere’s locks—we’re diving into the world of highlights. From ombré to balayage to lemon juice by the pool (yes, we’re going there), here is everything you need to know to lighten your locks. If you want your highlights to start at your roots, foil is for you. “Foil gives you a solid look that’s more uniform that other methods,” Morales says. Julianne Hough, above, has a more uniform look that’s achieved with this method. Make sure you see the colorist’s previous work, however, because some foil highlights can look striped if not done fine enough. Hair health tip: Morales suggest cutting your hair post-foil. Lusting after the highlights you had as a child? Balayage is for you. “It’s an old French technique that translates to ‘a sweeping motion,’” Morales says. A colorist will paint bleach free-hand onto random sections, often separating the sections with large strips of cotton to prevent the bleach from touching the rest of the hair. It grows out with less of a line of demarcation, since it’s more random than a foil highlight. Since the highlights are artfully placed, get a haircut before. Products with a cocktail of brightening ingredients, like lemon juice and chamomile, will slowly brighten dirty blonde and light brown hair, making your natural highlights more noticeable. 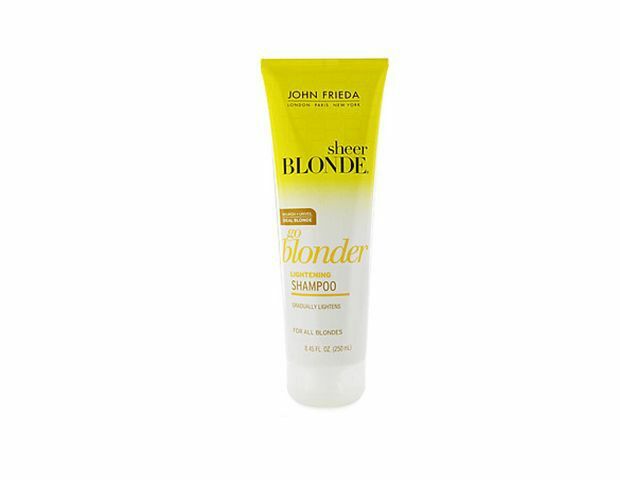 One of our editors swears by John Frieda’s Go Blonder Shampoo ($6) and Conditioner. You can lighten your locks the same way you did in middle school—remember Sun In ($6)?—with lemon juice and the sun. Just squeeze the juice of one lemon into a spray bottle, add water, and spritz through wet locks before laying out. Be careful not to get lemon juice on your skin though, which can cause severe burns in the sun. You already know chamomile tea makes a great rinse to keep blonde hair bright, but it can also lighten dark blonde and light brown hair in the sun. Make a pot of tea using five bags, once cooled pour into a spray bottle, and spray through your locks while in the sun. Your natural highlights will lighten within an hour or so. Don’t have time for the sun? 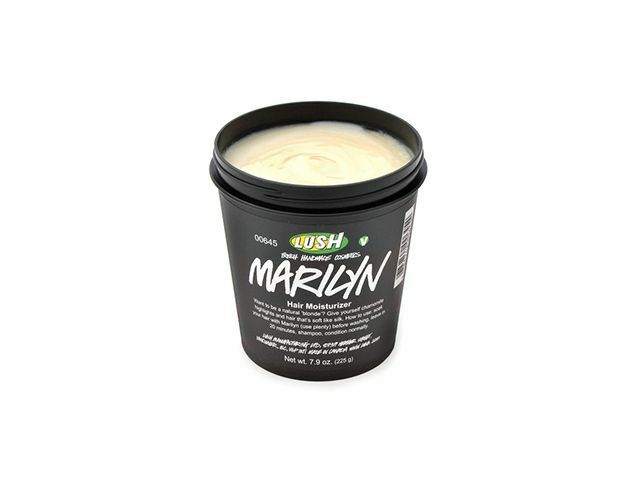 You can score the same effects as above with Lush’s Marilyn Hair Mask ($23). It has all the ingredients we just metioned—citrus, chamomile—to bring out your highlights at home. Just coat your dry locks, put on a shower cap, and let it sit for about an hour before showering as usual. Bonus? It makes hair soft and shiny!